Maybe you don't need us. Maybe you know the ins and outs of getting your book into the hands of readers. That's great! We celebrate with you! We are not a traditional publishing house, nor are we a vanity publisher. We exist to help your book exist. With our help, you can put your hard work out in the world, packaged in a way that meets your vision and makes you proud. Traditional Publishing: A company buys the rights to an author's manuscript, fronts the costs for editing/layout/printing/marketing/distribution and shares royalties on final sales. Vanity Publishing: Bringing a book to market on the author's dollar and taking a cut of the final royalities. 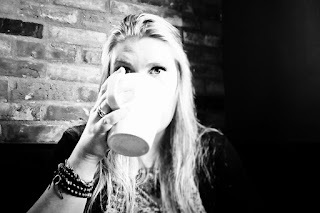 Self Publishing: The process in which an author does all the work themselves, finding reputable editors, designers, printing companies, as well as finance and control their own marketing and distribution. 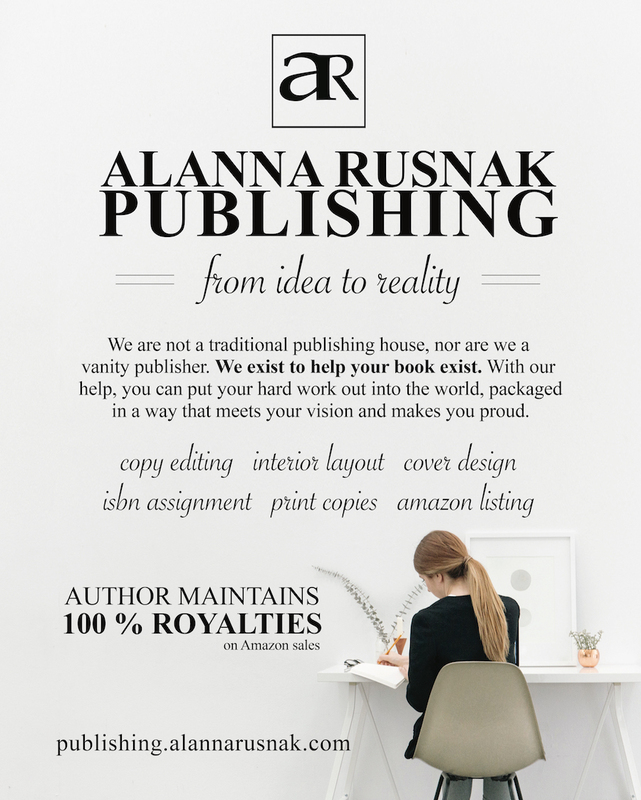 Alanna Rusnak Publishing: We think of ourselves as a Self Publishing Plus organization. We strongly believe that if you have a project you're passionate about, it's worth putting it out in the world. Many authors are not versed in the technology needed to see a book from conception to on-the-shelf—and why would they be? An authors concern is word and story; Alanna Rusnak Publishing is here to help you through the rest. 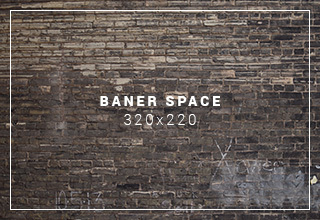 For competitive fees we can edit, design interior layouts, and/or give you a cover you can be proud of. If you so desire, we can go the full distance with you, publishing your book under an ISBN we own; but unlike vanity publishers, we will not take a cut of your royalties, nor will we hold rights to anything we create for you. All files created under the title of your book will be released to you for use in any way you see fit—we only ask that when the time comes, you give proper credit where credit is due. We are currently accepting beta reading and editing/full package projects of fiction, poetry, or memoir. Cover design and interior layout is open to all genres. To learn more, visit our FAQ page. If you still have questions, never hesitate to reach out. We are here to help bring your dream to reality. SO, WHO IS ALANNA RUSNAK?